We pay much attention to respect the rights of all Internet users, with particular concern for securing their privacy. The undermentioned terms explain how we collect and process the users data. By using this website, you agree to make use of the cookie files in accordance to the following rules. The advantages of cookies use. While browsing this website, so-called cookie files may be stored on the user’s devices. Our site, like most websites on the web, uses cookie files as a tool, that helps to improve its operating abilities. Cookies are small text files, that are being saved on a computer or mobile phone while the user is browsing websites. – they help us display the marketing content. More information about the cookie files we use can be found below. Our own cookie files that we use on the website. – adapting the content to the users needs. If you do not agree to such terms of cookies use, you must leave our website and clear all the browser data that are related to it. Cookies provided by external entities – website visitor statistics. – collecting data about which links on our site are being used. These files do not collect any data to identify specific users. Cookies provided by external entities – social networks. Like most websites, we make use of functions and solutions provided by external entities. An example is the integrated Facebook widget and connected to it content sharing features. Disabling these type of cookie files will probably affect the correct operation of this type of functions. The specific use of these files also depends on the user’s account privacy settings in each social network. Most web browsers allow users to disable cookie files storing function. To learn more about it, search the information on the official website of the software you are using. The website is intended for personal use. By using our website, the user is obligated to comply with all Polish law regulations regarding to the use of websites as well as applicable to it international law. The website’s publisher may suspend each user’s account with or without noticing him and without giving a reason. By entering your personal data (first name and email address) on the site, you agree to its processing for marketing activities, including for direct marketing by the publisher of this website. 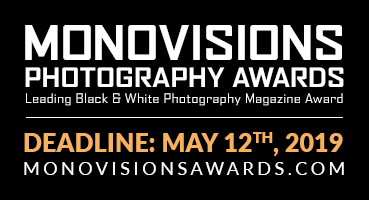 By direct marketing, we mean periodic mailing with information about selected photo contests. We promise not to send you spam and not to mail you too often! Providing us your personal data is voluntary. The User has the right to inspect, correct and request Publisher to remove his personal data (name, user name, e-mail and other transferred data) at any time without giving a reason. Publishing information about the competitions is free. Submitting a competition to be published is not tantamount to the guarantee of its display on the website. The publisher of this website has rights to publish contests personally selected by him and to change the time of displaying information about competitions. The publisher of this website is not responsible for any competitions, services, information and data provided by external entities via the website. By submitting information about the competition, the user declares that he has the appropriate rights and/or authorizations for it and he accepts all third party pretensions and full protection from the Publisher’s of this website in respect of any infringement of rights (licenses, fees, copyright, etc.). Copyright of all photos and graphic materials posted on this website remains in the ownership of the website owners. However, it is assumed that they have agreed to its use for marketing purposes on the website mentioned above.